Sink and tap manufacturer Reginox has launched the Acri range of mixers in a choice of Gun Metal, Copper and Gold. Featuring a smooth, angular U-shaped spout, Acri mixer taps measure 370mm high. The colours have been chosen to co-ordinate with the company’s recently-launched Miami range of PVD-coated sinks. However, the taps can also be used to complement a ceramic sink or flecked granite worksurface. Acri features a single lever control, swivel spout and is suitable for high and low pressure water systems. Dutch manufacturer Reginox develops and manufactures all its sinks in Rijssen, East Holland. It produces more than 150 sink models for export and its national kitchen market. Established in 1976, Reginox manufactures 70% of its sinks from recycled steel. 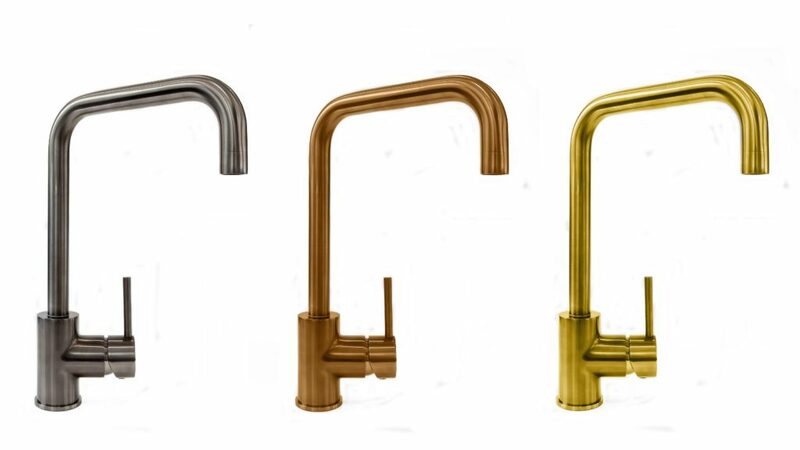 Take a look at the upcoming fashions for sinks and taps in our feature kitchen trends for 2019.